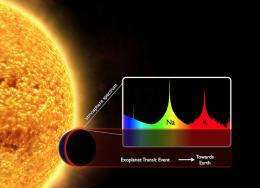 That may be about to change, says exoplanet expert Sara Seager at the Massachusetts Institute of Technology in Cambridge, Massachusetts. Upcoming missions such as the Transiting Exoplanet Satellite Survey and the James Webb Space Telescope, both due to launch around 2018, should be able to find and characterize Earth-like planets orbiting small stars. Spotting signs of life on those planets will be possible because of progress in detecting not only planets, but their atmospheres as well. When a planet passes in front of its host star, atmospheric gases reveal their presence by absorbing some of the starlight. Oxygen, water vapor, or other gases that do not belong on dead worlds could very well provide the first evidence of life elsewhere. In 1961, astronomer Frank Drake developed an equation that summarizes the main factors to contemplate in the question of radio-communicative alien life. These factors include the number of stars in our galaxy that have planets, and the length of time advanced alien civilizations would be releasing radio signals into space. Focusing on M stars, the most common stars our neighborhood that are smaller and less luminous than our Sun, Seager plugged in values for each term. Her calculation suggested that two inhabited planets could reasonably turn up during the next decade. Q: What was the inspiration behind this equation? Sara Seager (SS): People have been thinking about trying to find signs of life for a hundred years. This equation is a purposeful take-off on the Drake equation, which was about the search for intelligent extraterrestrial life. 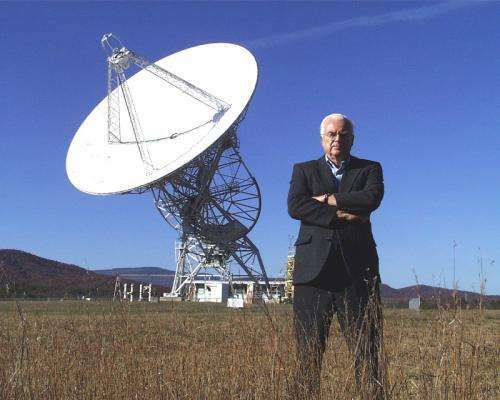 Frank Drake wrote that equation because he was using radio telescopes to look for life. It was relevant then and still is. SETI has been going on now for 50 years. Q: Is your approach specific to intelligent life as well? SS: No. The equation focuses on the search for planets with biosignature gases, gases produced by life that can accumulate in a planet atmosphere to levels that can be detected with remote space telescopes. If we find gases that we might attribute to life we will not know if the gases are produced by intelligent life or simple bacteria. Q: Could someone like Drake have sketched out your equation 50 years ago, before the first discovery of an exoplanet? SS: Somebody probably could have written the equation back in Drake's day. But back then people didn't like the idea of habitable planets around M-stars. All life requires liquid water, which can only exist on a planet that's not too hot and not cold. A planet in the "Goldilocks" zone around an M star ends up being tidally locked, like Earth's moon. It shows the same face to the star all the time and is always hot on one side and cold on the other. In the old days people thought that wouldn't be amenable to life. Modern studies with computers have shown that it's okay to be tidally locked. If a planet heats up on one side and not the other, the atmosphere can still circulate, because heat wants to move around. Back then people also didn't know the frequency of habitable-zone planets around M stars and that we would have the capability for detection by 2020. Q: How confident are you about the values you plugged into this equation? SS: For some of the terms you can get a number that's an estimate with an error bar. We start with the number of stars bright enough to be seen by James Webb. What we need are enough photons to see the starlight shining through the atmosphere of a planet. We know that number: it's 30,000. Then we select stars that are quiet. Some stars are like our solar maximum all the time, with flares and other activity. We don't like those noisy stars. It's hard to spot a planet transiting in front of the noise, hard to spot the dimming that occurs. Also the ultraviolet light from many active stars would destroy biosignature gases through a complicated series of chemical reactions. The fraction of planets that can be observed, that are transiting, is just simple geometry. It's easy to calculate. Q: What about the fraction of rocky planets in the habitable zone? Calculating that was the Kepler space telescope's mission, but Kepler broke down earlier this year. SS: Astronomers have largely completed Kepler data analysis for small-star statistics. Small stars are what we're interested in. So we have this number, where the number is for quiet stars. It's 0.15. Q: And the other terms? SS: Not all of the terms in the equation can be calculated. The last two are just guesses. For the fraction of planets that have life, I put in one. I wanted to be optimistic. It really matters what you speculate for this term. You can put your own number in. Detectable signatures of gas could mean a lot of things. As human beings, we exhale carbon dioxide. That's our biosignature gas. But that's not useful because carbon dioxide in the atmosphere is naturally occurring. There are other possible gases we could look for. Oxygen is produced by plants and photosynthetic bacteria. We have also considered ammonia as a biosignature gas. I carefully crafted the last term of this equation so one could actually add more information in. Does life produce a detectable signature? Are there systematic effects that rule out some biosignature gases being detected in some planets? Can we not find the signature for technical reasons? We just don't know how many planets have life that is producing biosignature gases that are detectable by us. Do moons of gas giants affect the habitable zone? I am in the camp that thinks that life is not uncommon but intelligent technological life is extremely uncommon. With all the species of animals on this planet, and even more importantly how intelligent many of them are (something many ignore) only one species has become technological. No other species shows any signs of becoming technological either even if we weren't here. I think this is the answer to the Fermi paradox, there's plenty of life, just no one to hear us calling. I am in the camp that recognises that, because we live in a very old galaxy (13.2 BY) yet inhabit a young solar system (4 BY), the chance of at least one civilisation in our galaxy being at least 1 million years older than ours approaches a certainty. @Andrew Palfreyman: Great point, but also the problem. Galaxy is a big and dark place. We are just leaving the solar system... our backyard. Any sort of contact or evidence is gonna be a b#tch. @Andrew: Good insight, but since it is thought that about 80% of the stars were formed in the first 2 billion years, the chances are they are more than a billion years ahead of us (if they exist). @Stavanger: To explore the galaxy, the only logical approach is to launch unmanned self-replicating probes. At 1% of the speed of light, such a mission could put a monitoring station come communications hub in every star system in less than 10 million years. @LenGould: The self-replicating fleet approach has to be fire-and-forget, you cannot remotely manage probes from 50 thousand light years away. Even if the race that created them was long gone, their technology would still exist. Given such a network, if they can develop any sort of comms-based transport system, they could be present in multiple star systems. Redundancy is a good mitigation against planetary extinction events. If they existed, we wouldn't.